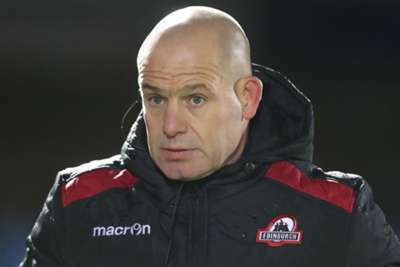 Edinburgh head coach Richard Cockerill has signed a two-year contract extension with the Pro14 club. The former Leicester Tigers boss was handed a two-year deal to take over at the start of this season following a spell with Toulon. Cockerill has guided Edinburgh to third in Conference B and the Englishman has been rewarded with a contract until 2021. "I saw this as a fresh challenge and have really enjoyed getting stuck in at Edinburgh," Cockerill said. "There is still a lot to do at the club and I wanted to stay and continue working with a great group of fellow coaches and hard-working players. "We are building a better squad and a better culture, bit by bit, with the aim of improving results and making us more competitive and consistent. "The support I've received from Scottish Rugby since I arrived has been first-class and I'm excited about what the future will hold for Edinburgh Rugby if we continue to apply ourselves in the right way." Cockerill also guided the club to the quarter-finals of the European Challenge Cup.